The last decade was all about social media, and it was indeed a unique idea to bring people closer using the long distance network. However, the social media were able to add value to the communication line, which has opened up many opportunities but many things were missing in it, but the social media platforms were not pushing it to give those features because they think it’s too early for them. However, that did not stop the developers from creating their version of social media. Fast forward today the next generation technology is streaming, which has proven by the search giant Google itself. They have added the live feed streaming to their second best product Youtube this year. Streaming is the next technology, which has been started by Netflix and other services online in exchange for few bucks. However, there is no platform for the regular people who have the potential to become the next entertainer, which you can find on platforms like Vine and Youtube. 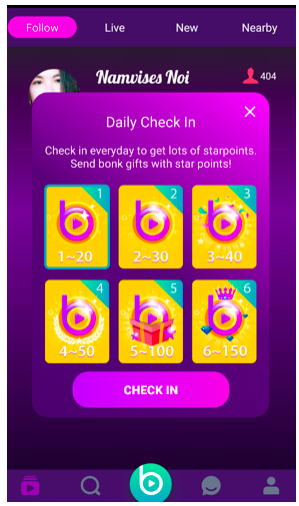 1.2 #2 How to Go Live on Bonk Be Live? 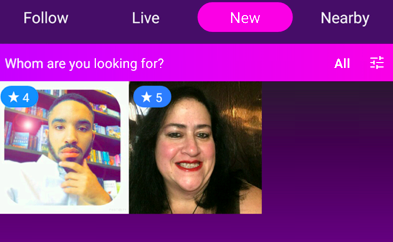 When we talk about the streaming, we should not miss the revolutionary Android, and an iOS application called the “Bonk Be Live.” The primary objective of the app is to give you the live feed feature which you can use to show your skills and entertain people. The Bonk Be Live does pretty much everything that a streaming should have in it. Why should you download the Bonk Be Live app? We are going to give you reasons and give you quick look at the interface. We are going to take you to the quick look at the Bonk Be Live interface. Live: If you want to watch live streamers, then this is the tab where you can find current streams. It will not only show you the number of streams but popular ones. Even you can be on this list when you can become a good streamer. 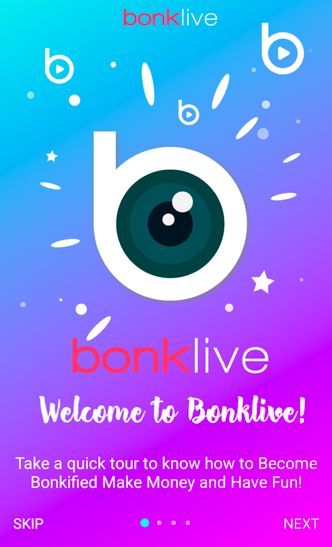 New: It doesn’t matter if you are getting started or today is the first day of your Bonk Be Live live feed because you will get the chance to appear on the NEW tab, where your live feed will look, and your stream will be seen by all of the Bonk Be Live viewers. The NEW tab dedicated to the new users and new streamers. Profile: The Bonk Be Live has enabled the users to edit their profile add some of their personality to it. You can customize the way you want. Like you can change your name, you can add, remove the top background, and more. 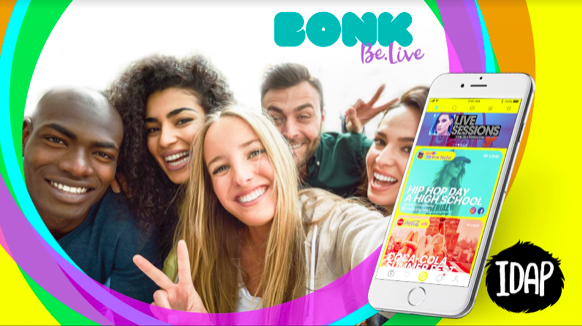 #2 How to Go Live on Bonk Be Live? Not many users have the technical knowledge, and without proper guidance, they get confused over the options, and then they quit. We are going to show you how you can go live in a matter of seconds. Step 1: Launch the app from the menu. Step 2: Can you see the big green button? Tap on the green button. Step 3: You will have filled up the blank areas. Enter the title – The title should always be something related to your personality or your game plan. Never go off topic because users will leave it sooner. Select your country – Do not add random state because you may lose users and followers. Category – Add category based on your interest or stream subject. 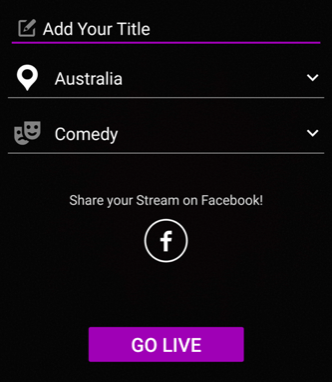 Facebook – You can share the stream on Facebook. It’s up to you to choose. Step 4: Now Go live. Your stream will begin and wait for a while because viewers will gather to watch your entertaining stream. You can send messages to the streamers (it will be shown publicly, so do not add abusive words to it or else you will get banned). 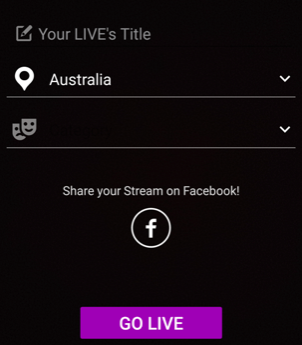 You can share the stream to your social media profile to your friends. 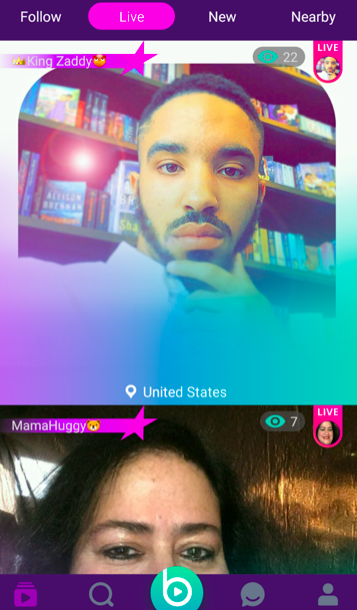 You can like the streams, which will leave your profile picture on the top that is viewable by every user. You can send virtual gifts to your favorite streamers, which will help them monetarily. You can send Silver, Gold, Diamond and other awards to them. 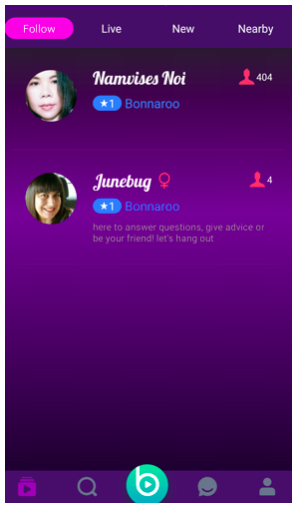 The Bonk Be Live is the next generation application that has many features and options which will take streaming to another level. Let us know what do you think about the application in the comment below.